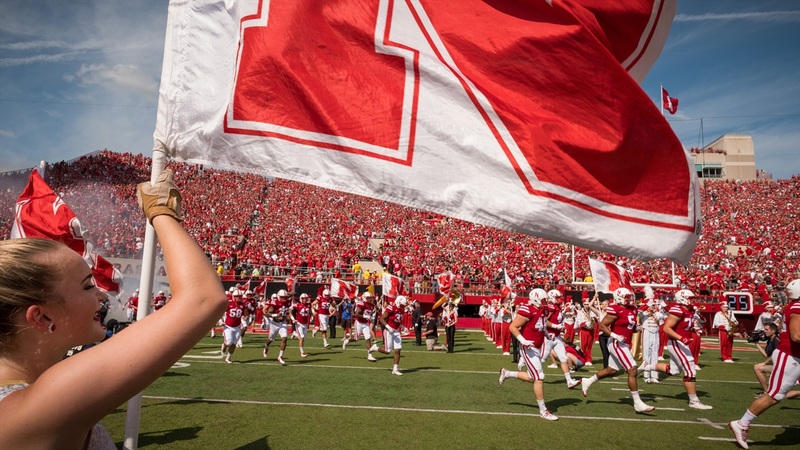 Nebraska received some good news as the first weekend of fall camp came to a close. Michael Lynn‍, a 3-star (HV Rating: 85.0) offensive tackle, became the 15th member of the 2019 recruiting class when he verbally committed Sunday night. The Huskers beat out the likes of Arizona State, Oklahoma State and Utahfor the Centennial State prospect. Lynn visited Lincoln for the spring game. Hail Varsity caught up with the lineman shortly after he announced his decision. Lynn shared why he ultimately selected the Huskers. “After my visit back in spring and talking to other coaches [and] seeing other campuses, my heart and mind just kept coming back to Lincoln, Neb.,” Lynn said. “The town itself, the people, the culture surrounding the football program and everything the university offers. Not just the football program but the university itself. When we caught up with Lynn after the spring game, he raved about the fan base and how welcoming everyone was. However, that was not all. Talking to him Sunday evening, there was something else that he couldn’t shake about his time on Nebraska’s campus. Lynn said that he had not told Austin prior to this weekend that he was even considering committing. The lineman just dropped a text on Austin to see if they could hop on a quick phone call. When Lynn told Austin he his decision, Austin told him it was like Christmas Day. Colorado has become a very important state for Nebraska to recruit. The state is loaded with 2019 and 2020 talent. Nebraska signed defensive end Tate Wildeman from Parker, Colo., in the 2018 class. Lynn is familiar with Wildeman, as well as 2019 QB commit Luke McCaffrey from Highlands Ranch, Colo.
Lynn, who stands tall at 6-foot-7 and 280 pounds, said that tackle would be his primary position when he gets to Lincoln. He worked hard on his footwork the last two seasons to put himself in this position but isn’t satisfied with just making to Nebraska. “I don’t want to just make it to the next level, but to be able to play and be the guy at the college level," Lynn said.